Totally stunning, this fabulous diamond ring will be the envy of those around you. 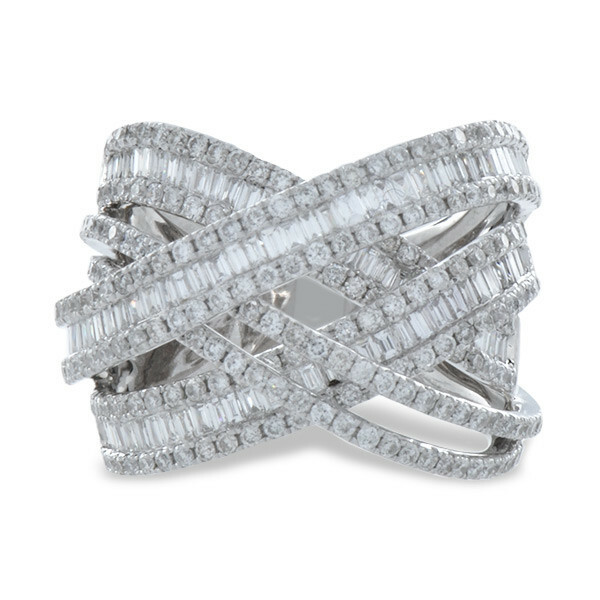 The criss cross pattern is forged in 18kt white gold with a row of baguettes in the center. On either side, round white diamonds flank the baguettes to give this ring a luxurious texture. It's truly a work of art!